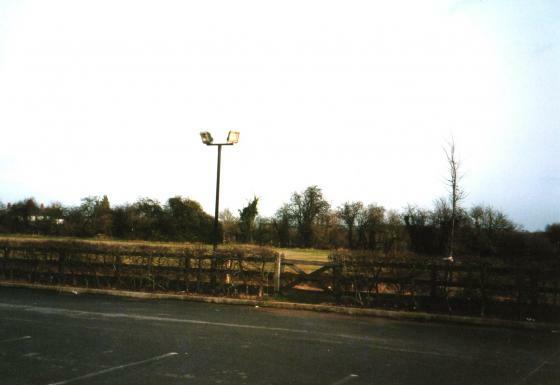 This field belonged to The Red Lion but was sold for house building in 2003 although there was a lot of opposition from local people. At one time it was used as a football pitch. It was not noted as a wildflower meadow or a wildlife site. 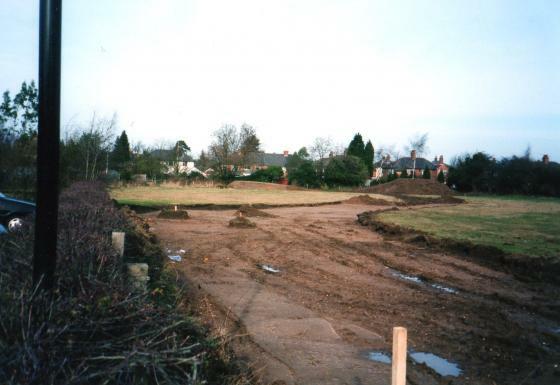 Our visit was timed for the removal of soil to make the plan for the road so that Brian could see if there was any archaeological interest in the dug out ground. We did find two flints that looked interesting but otherwise nothing to report. The site has now been fenced off but Brian will still be keeping a watch on what is happening. 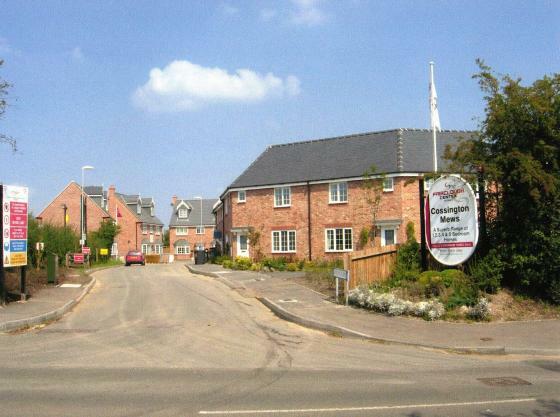 The Rothley Parish Council has put forward the name of 'Bywater' for the road. 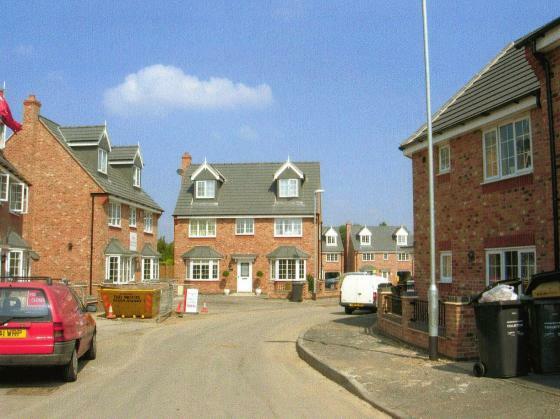 The name of Hickling Drive was chosen by Charnwood Borough Council but I, along with Terry Sheppard, sent in a letter of objection on the grounds that a road could not be called 'Drive' when it was a cul-de-sac and did not lead anywhere. 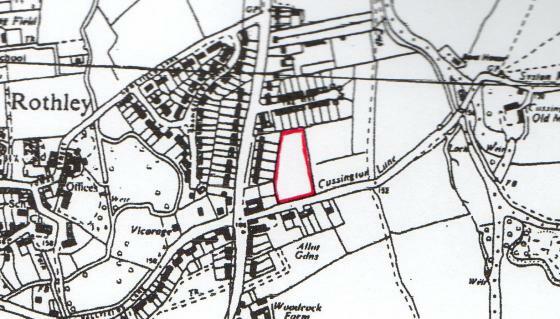 The Charnwood Parish Council changed it to Hickling Close which is more in keeping although 'Bywater' would have been very suitable due to its location. March 2005 The name has still not been put up although a few of the houses are occupied. 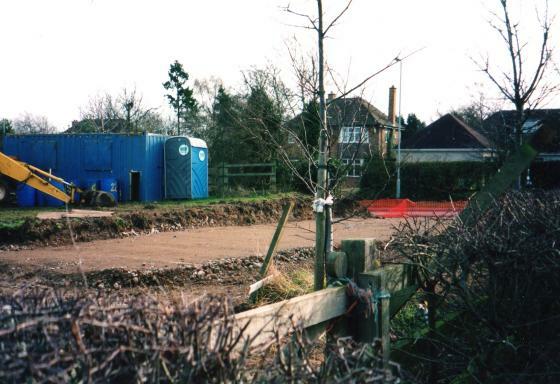 Site 137 Looking to The Rise in February 2004. 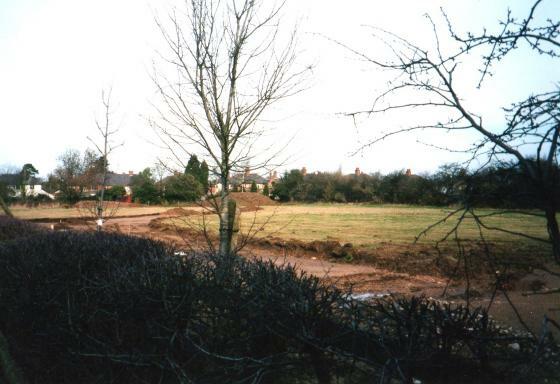 Site 137 Looking to Cossington Lane in February 2004. Now the exit from Hickling Close. XHTML 1.0 validated. WCAG compliant. Page generated in 0.2317 seconds.